ABB had a major presence at the first China International Import Expo (CIIE) in Shanghai this week, presenting some of its newest and most advanced technologies for power grids, smart manufacturing and electric mobility. Opened by Chinese President Xi Jinping, the new trade fair was a strong signal of China’s support for global trade and commerce, and reinforced China’s position as a major customer and trading partner. Over the course of the week, ABB signed framework agreements with a number of Chinese enterprises in the utility, industry and transport & infrastructure sectors. These included State Grid Corporation of China, China Southern Power Grid, China National Petroleum Corporation, Zhenhua Heavy Industries and Baowu Steel, among others. 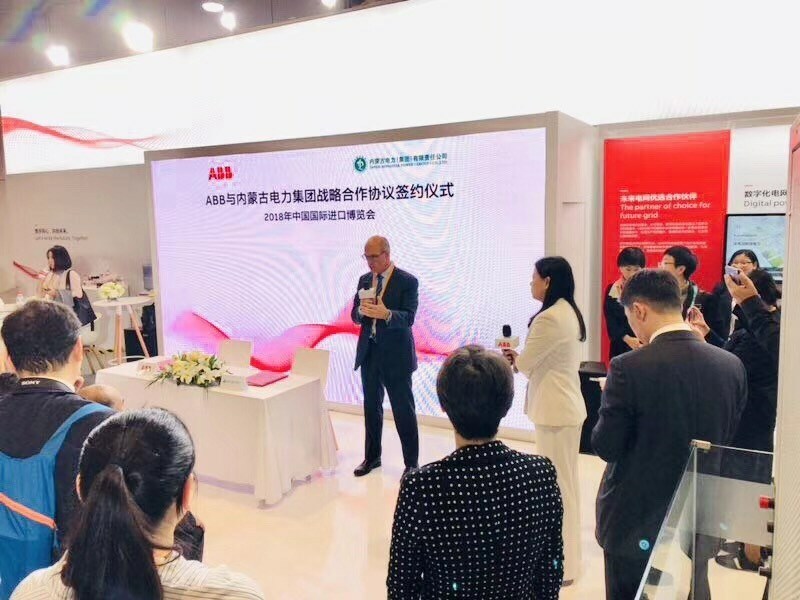 ABB’s team at the expo was headed by Claudio Facchin, President of the Power Grids division, and Chunyuan Gu, President of the Asia, Middle East and Africa region. 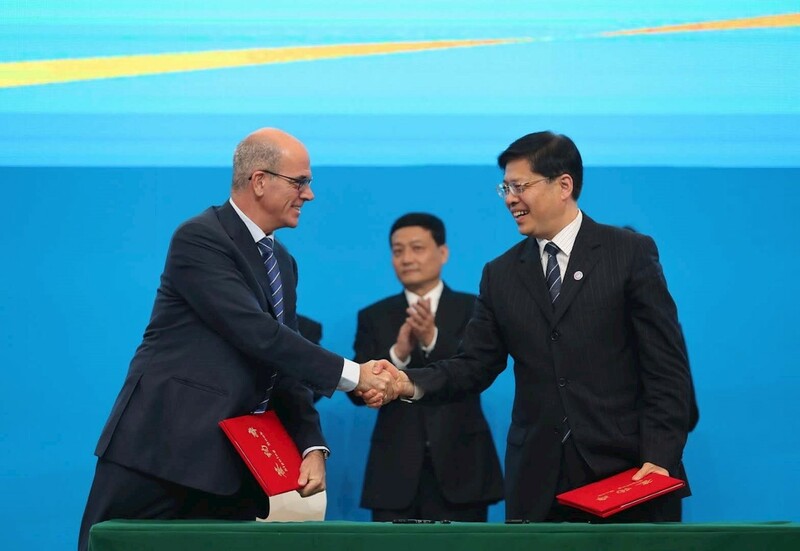 Claudio Facchin (pictured left), President of ABB's Power Grids division, shakes hands with Han Jun, Executive Vice President of State Grid Corporation of China. 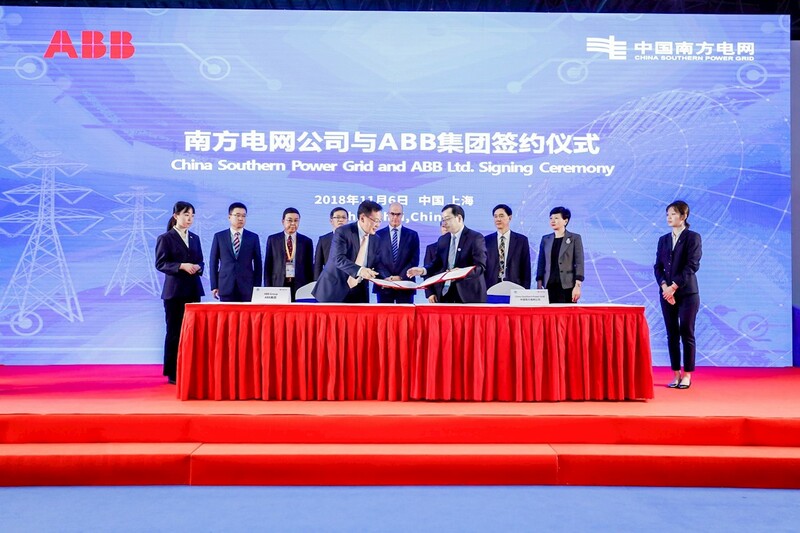 Zhang Jinquan (pictured front left), Head of Power Grids Division, ABB China at the signing ceremony with Li Qingjiang, Deputy GM, EHV Power Transmission Company of China Southern Power Grid. Claudio Facchin talks at the contract signing ceremony with the Inner Mongolia Power Co. Ltd.
China is ABB’s second largest market and the company has a full range of business activities in the country, from R&D and engineering to manufacturing, sales and service. China is home to one of ABB’s seven corporate research centers and more than 20 business R&D centers. ABB has 18,000 employees in China in 142 cities, including more than 2,000 people in R&D. To date, the Group has invested more than $2.4 billion cumulatively in China and just last month announced a new $150 million investment to build the world’s most advanced robotics factory in Shanghai.